Nothing beats the comfort of air conditioners, they are the ideal cooling appliance for beating the scorching summer heats. As air conditioners are one of the prime reasons for high electricity bills, we have come up with the most energy efficient ACs under the price rate of 30,000. From star rating to cooling capacity, the below-mentioned list is structured after the thorough research and analysis. The air conditioners listed here are Split AC, Inverter AC and Window AC from the leading brands. Check out the top 5 air conditioners based on electricity consumption, star rating, and other prime factors. With a capacity of 1.4 ton and a 3-star rating, the Voltas SAC 173 IY is decent in terms of energy efficiency and power consumption. Designed with quality built, the air conditioner ensures durability with Volta’s trust. The copper coil condenser of this AC ensures you get the maximum cooling. This AC makes an ideal suit for medium sized spaces. Besides, the AC has a LED remote control that makes easy to operate in the night. With such innovative features, you can consider buying the Voltas SAC 173 IY Split air conditioner. 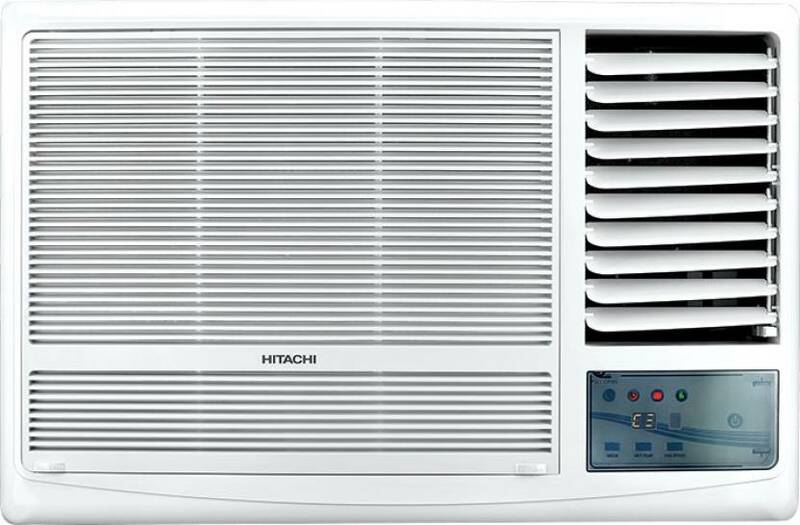 If you are looking for a Window AC under this price range, then Hitachi Kaze Plus RAW518KUDZ1 can be an ideal choice. 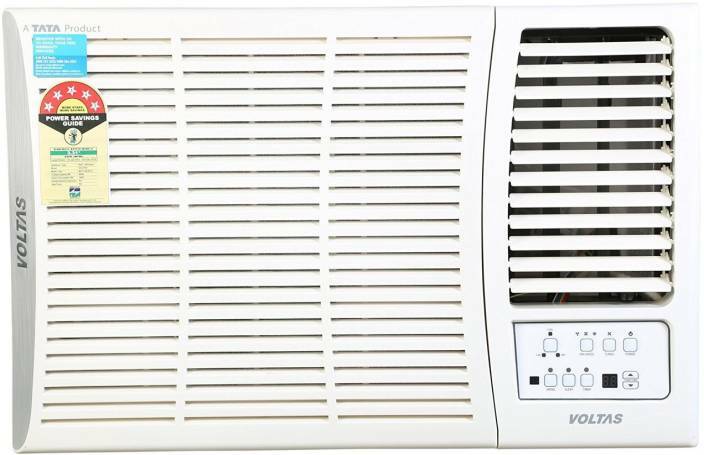 With 5-star energy rating and 1575 W of power consumption, this is one of the best air conditioners in Window AC types. With high-end features, the AC is also best in terms of its durability. The Hitachi Kaze Plus RAW518KUDZ1 window air conditioner cools a room very quickly without consuming much of electricity. The AC may not look good in design but is the best choice if you are interested to buy Window AC. With innovative features, the Sansui SS4C54.WS1-CM air conditioner is perfect for medium-sized and large-sized rooms. This is one of the best 1.5 Ton split air conditioner, available at the price rate of 30,000 INR. The turbo mode and dehumidifier technology ensure that AC cools room in short span of time, making you stay comfortable in scorching summer. Besides, the copper coil condenser ensures the durability of the air conditioner. Another best feature about the Sansui SS4C54.WS1-CM is that it is completely noise-free, making sure you have a good night sleep without any disturbance. The Sansui SS4C54.WS1-CM AC is the ideal product if you have a large or medium-sized room. Nothing better than Voltas 185DY window air conditioner, if you are looking for a cooling appliance to cool the medium-sized room. This window AC comes with gorgeous design, giving your room an attractive interior. With high EER rotary compressor, the air conditioner gives a powerful cooling performance to ensure you get a comfortable environment in summers. Besides, the AC has a dehumidification technology that removes the humidity from the room and an auto Air Swing functionality to ensure air flows throughout the room. The AC is also featured with Sleep mode function to make sure it turns off automatically at the specific time. If you are looking for a Window AC than Voltas 185DY is worth considering. LED display with LCD remote. The Carrier 12K Ester 5 Star is the best combination of design and technology. Whereas it gives an elegant look to your room’s interior, its high-end cooling capacity quickly cools the room and provides a comfortable environment. With 943 W of power consumption, it looks decent in regards to energy consumption. The Carrier 12K Ester 5 Star auto restart feature allows AC to turn off automatically. With such stirring features, Carrier 12K Ester 5 Star split AC is worth buying.